Dr. Vitasna Ketglang has been practicing for more than 30 years. Since 1999 she has devoted her practice to Gynecological Surgery, especially Cosmetic Vaginal Surgery and Urogynecology in Yanhee International Hospital, a world-class hospital and one of Thailand’s well-known and successful hospitals. She provides interviews on the subject to various media and organizations, including the Bangkok Post — the leading English newspaper in Thailand. Dr. Vitasna conducted a significant number of Cosmetic Vaginal Surgeries and served as the hospital’s expert on Vaginal Rejuvenation. She has performed more than 10,000 Cosmetic Gynecology procedures from March 2nd, 1999 to August 31th, 2017 as recorded in Yanhee International hospital, so there is no doubt about her experience. Dr. Vitasna coordinates other gynecological treatments for patients and builds loyalty and good relationship with patients due to the high quality of medical service she provides. She also has good working rapport with her colleagues, such as the Anesthesia Providers, Recovery Room Nurses, and Medical Assistants at the Cosmetic Gynecology Center in Yanhee International Hospital. 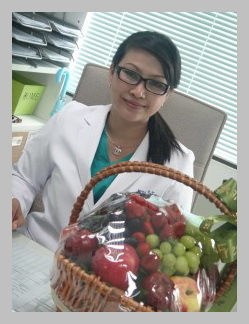 In 1996 Dr. Vitasna moved to Bangkok where she continued to established her expertise and reputation in the capital city by working at several Private Hospitals. She conducted a full range of OB-GYN medical operations, prescribed treatments, and interacted closely with a diverse group of patients. She collaborated closely with other physicians on multidimensional and complex cases. In 1994-1996 Dr. Vitasna served as an OB-GYN specialist working in the government hospital, responsible for an economically challenged area of Chiang Mai. She worked long hours to ensure that all patients received the necessary level of medical attention and treatment appropriate to their respective conditions. In 1991-1994 Dr. Vitasna enrolled at Chiang Mai University and obtained a Certificate as a Specialist, in Obstetrics and Gynecology. Dr. Vitasna began her career upon finishing her medical education at Khon Kaen University and worked for several years at a local government hospital in Chiang Mai. In that capacity, Dr. Vitasna as general physician treated a full spectrum of medical cases, including illness and major trauma, and coordinated a broad range of medical treatments, ensuring appropriate and timely treatment for each patient.